A Wonderful ancient technique has found it’s place in the modern world of healing, Massage cupping is based on the common practice of Chinese cupping therapy, and the incredible results that this simple treatment procedures have truly impressed those who experience it’s subtle power. By creating suction and negative pressure, Massage Cupping therapy is used to soften tight muscles and tone attachments, loosen adhesions and lift connective tissue, bring hydration and blood flow to the body tissues, and drain excess fluids and toxins by opening lymphatic pathways. Massage Cupping is versatile and can easily be modified to accomplish a range of techniques, from lymphatic drainage to deep tissue release. 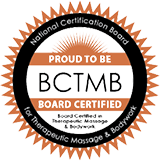 This complements many health modalities ranging from spa treatments to medical massage and physical therapy. Massage Cupping is fun and result- oriented… And the treatment FEELS GREAT! It works deeper by loosening adhesions, facilitating the muscles to operate more independently and stimulating healthy elimination of accumulated debris in the tissue, organs and systems. Sometimes areas of tension or injury are simply too tense or tender to treat with certain therapeutic methods such as deep tissue massage, trigger point therapy or cross-fiber friction. Massage cupping is a gentle, non-invasive way to soften broad areas of tension so that more specific massage techniques can be comfortably applied.